"Of course I married Jimmy, he brought me the BIG Whitman's Sampler." My husband's grandmother, Pauline, was 4'10", and was a colorful story teller with huge twinkly eyes. She always had a little pep in her step, even in her nineties. Dainty and prissy, she lived to be 97, was sharp as a tack, and we were great phone friends. We didn't spend much time together in person because of distance, but we spoke on the phone fairly often. She had a difficult time hearing on the telephone, but somehow she could understand me, and I loved hearing her stories. We would talk for hours and she would tell me stories about her days in college at Judson, how she was her Daddy's favorite, and how her sister, Daisy Earle, was always their Mama's favorite. She told me that during the summers she would have a long list of gentleman callers- she called them suitors- who were all vying for her hand in marriage. By her own account, she was quite an accomplished dancer. I was so proud when we picked up the dining room table and buffet that belonged to Pauline's mother to save it from the Estate sale. We brought it home, cleaned it up, and reupholstered the seats. It is a beautiful table and I am saving it for my step-daughter, Jamie, for her first home. Jamie will be the fifth generation to sit at this table. I'm a sucker for nostalgia. The importance of this table and buffet, is that it was purchased new around 1935, when Pauline married the winning suitor, Jimmy. She said her Mama was running around like she had a bee in her bonnet getting ready for that wedding reception and her mother, Mrs. Day, redid the entire house in preparation for the big wedding. Her wedding cake was displayed, cut, and served on our buffet. I asked Pauline, out of all of the suitors who called on her that summer, why she chose Jimmy to be her husband. Her answer was short, very matter of fact, and she said it like I shouldn't be shocked at all to hear her say "Well, Jimmy showed up with the BIG BOX of Whitman's Sampler candy, not one of those little ones, AND, he brought flowers. I knew right then, he was the one for me." Tonight, somewhere in Florida, my husband has taken my step-daughter out for their Valentine's dinner date. 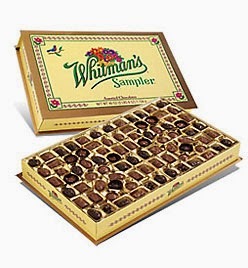 Of course, he took her the big box of Whitman's Sampler candy, because if it weren't for the Whitman's Sampler, she might not be here today. I hope you get your favorite piece of candy on the first bite. Willie Nelson, the sweetest little man in the world. Look at that face! Can you imagine a sweeter soul if you try? There isn't one. Willie is the most loving, loyal, precious friend that I have ever had, hands down. He always has a smile on his face and is always the first to comfort me if I feel yucky or sad or when I've had a bad day. He knows me better than I know myself most of the time. I was never a person to have animals in the house, and if seven years ago someone had told me "One day you will be flying all over the place with a dog in a bag" I would have probably just slapped the stupid out of them. But, alas, I now fly with a dog. I drive across the country with Willie, he goes to the movies with us, and there aren't many restaurants that he hasn't graced. 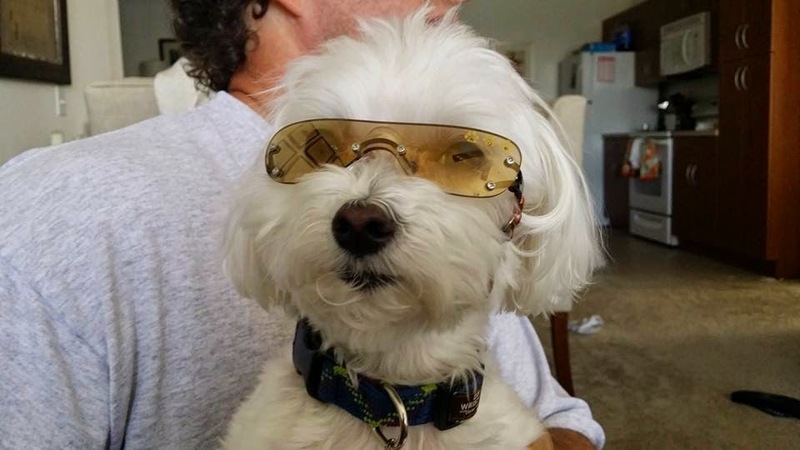 I even took him into a casino once. I almost took him to a funeral a few months ago when I didn't have a babysitter for him. Don't judge, he's probably more well behaved than 95% of the children I've met. 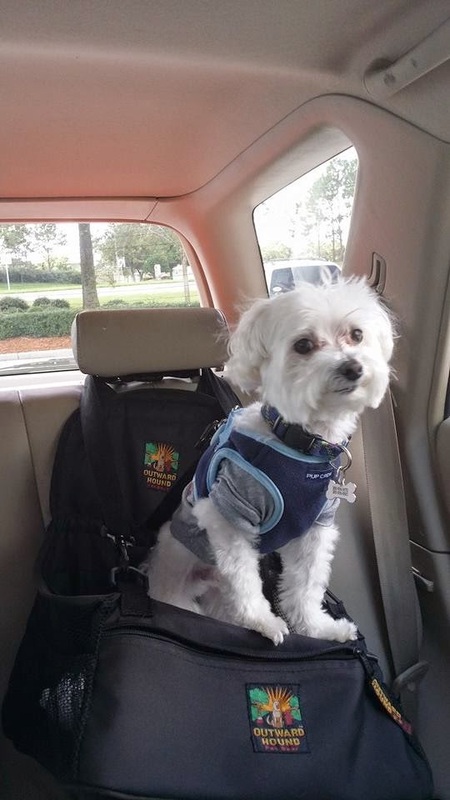 He's never been boarded in a kennel, because I think that would break his little heart in half and luckily, I usually have a list of people waiting to keep Willie when the opportunity arises, because they all love him like we do. The other night we were doing some long term planning, we began asking questions like "What happens if we die before Willie? What will we do if he dies before us? Where will we bury him? Will we bury him? Will we cremate him and just carry him around with us for the rest of our lives? Can he be buried in a cemetery with our family?" Jimbo and I were discussing all of this the other night and trying to figure out what would happen to Willie if we were killed together in an accident. We haven't made provisions for his custody. Who would get him? How would he be taken care of? 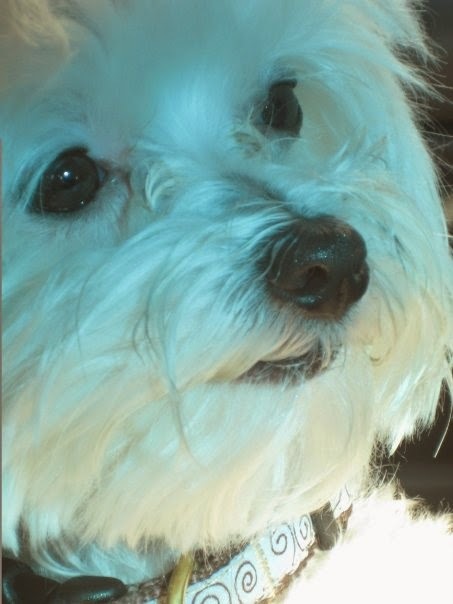 Everyone thought that Leona Helmsley was crazy when she left $12mil to her Maltese, Trouble, and cut her grandchildren out of the will and evicted her son's widow from her apartment, but I do understand her love for the dog. I don't understand her doing this at the expense of her own grandchildren, but I understand her wanting her best friend taken care of in the manner to which he had become accustomed. "Well, there is nothing more Southern than rocking a stuffed, dead dog." Here's to hoping our sweet Willie is with us for at least fifteen more years. He has a lot of traveling left to do!